FREE and open to all teachers and students! We have conducted over 250 virtual outreach sessions with schools across the globe to educate students about the importance of the ocean and why species, like sharks, matter. Join us as we share the truth about sharks, transform fear into fascination, and promote the vital role the ocean plays in our everyday lives. To date, our virtual outreach has reached hundreds of teachers and over one hundred thousand students! Have you ever wondered what it would be like to be a marine biologist? What would your days be like? Do you work in an office or are you in the field all the time? What animals do you get to work with? If you have ever wondered what it would be like to be a researcher, you can find out here. 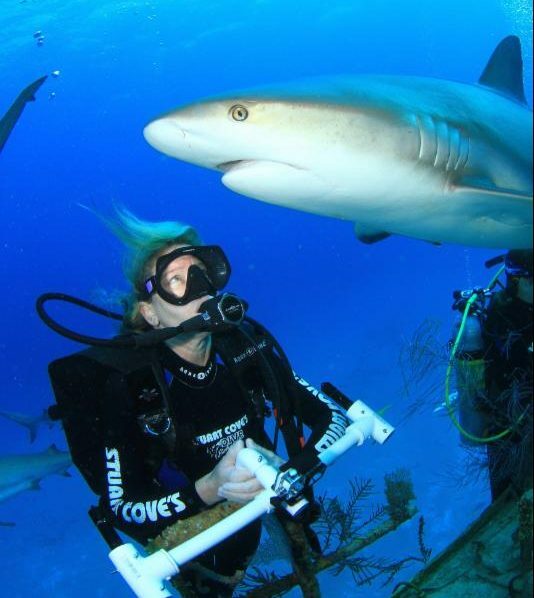 Dr. Mikki McComb-Kobza is a Marine Biologist who has been studying shark species for over 15 years. Her work has taken her all over the world to study and share the story of these magnificent, ancient, and misunderstood species. She will share her journey on becoming a scientist and working in an exciting, demanding, and challenging field. Click here to register for FREE today! Contact us at info(at)oceanfirstinstitute.org for any questions.